When I bought this book I almost immediately decided that I love it. Why? Because it is not your typical biography! 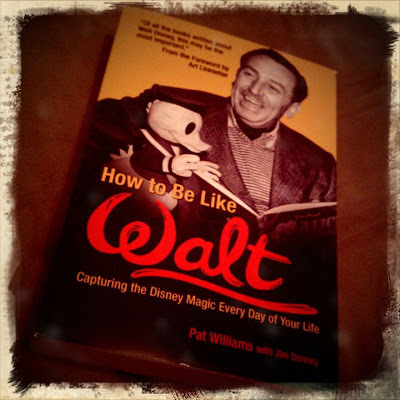 Not only is this half biography of Walt's astounding life and half a guide to how you can become more like Walt in your day to day life but it is littered with quotes from and about Walt sprinkled among the pages! 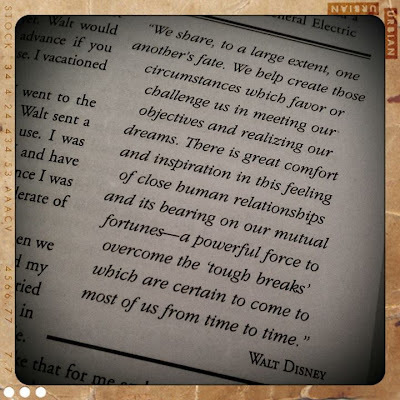 If you are a fan of Walt Disney this is not only the perfect biography to help you learn about his amazing life but it is also part self-help book to help inspire you. 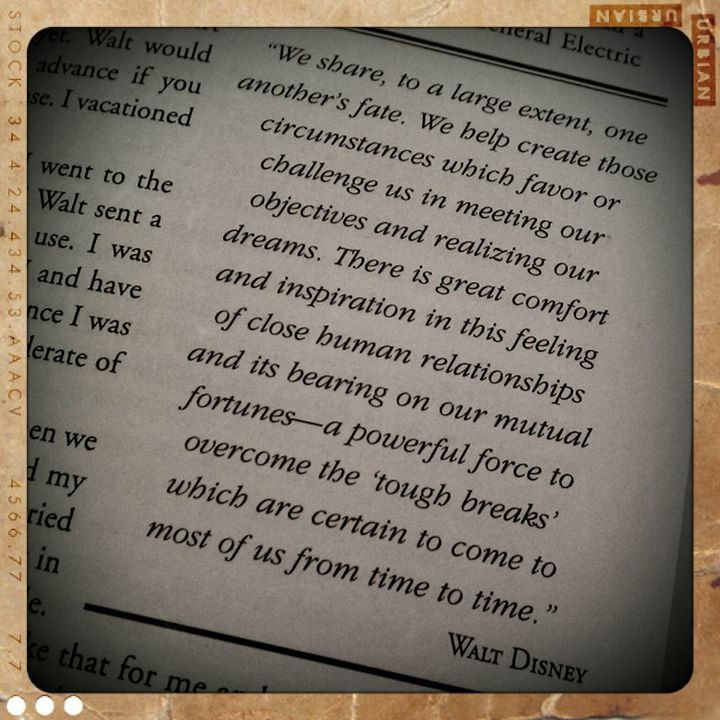 I have watched almost all the Walt documentaries and read a few books about him but I like this one best. The world could use more people filled with happiness, imagination, and perseverance! This book would be a great read for anyone with some time and an open mind... believing in magic and dreams coming true helps too! Sounds like an awesome book! He has some inspiring quotes. Great review, Melissa! Thanks for doing this, looks like another book for me to read!